Net Entertainment (which is also more commonly referred to as NetEnt) is a leading online casino software provider which has been supplying its content to online casinos since as far back as 1996. NetEnt’s impressive online casino technology is constantly evolving and to date, has produced more than 250 different games. 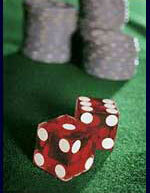 On average, at least one new NetEnt game arrives in casinos every four to five weeks throughout the year. In addition to the addition to NetEnt’s state of the art online casino software, this industry award winning software provider has also developed a Live Dealer Casino product which is called Net Entertainment Live Casino™ and a Mobile Casino Product called NetEnt Touch™. The company has developed a download client, but the almost every NetEnt powered casino today is powered by NetEnt’s non-downloadable casino platform and players can launch all of their games instantly in their browser using a flash player. NetEnt is often regarded as the best online casino software provider in the world and you can now find their games at some of our most highly recommended online casinos. Head straight to our online casino review section where you can find a list of casinos which are currently powered by this innovative software provider.